A couple of months back I had a great little sale haul in good old M&S. It's not somewhere I shop often but it didn't open my eyes to them a bit. I often pop in there with my mum so I tend to think of it as one of her shops but handily their Limited Collection is situated right inside the main doors of my local branch so I'm naturally drawn to what they have to offer every time I visit now. A few days back a lovely lady asked me on Instagram if I'd checked out their A/W stuff yet......well, that meant my evening was sorted! I had a really good trawl across all their ranges.....as you do once you've checked out your Sparks offers! ;0) I have to say that I think M&S could be on the road to cracking it. 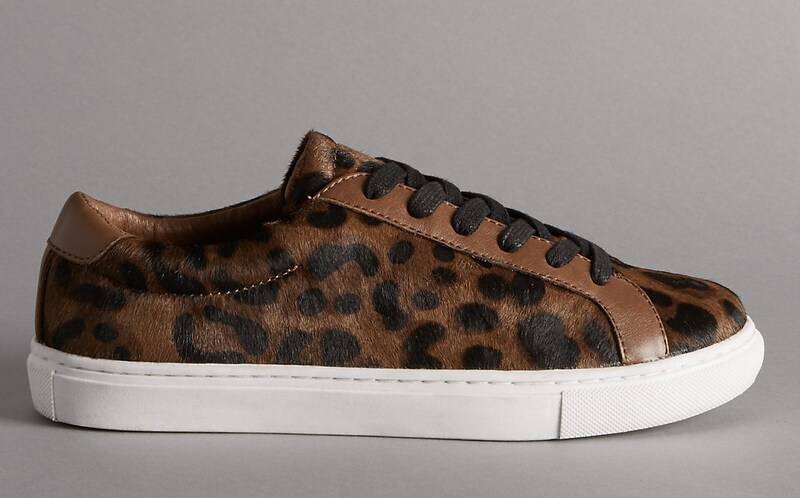 I am kicking off with these....such a superb homage to the leopard print Adidas Stan Smiths I purchased back in Spring. So similar don't you think.....I love the darker trim and pattern on the M&S version perfect for A/W16. 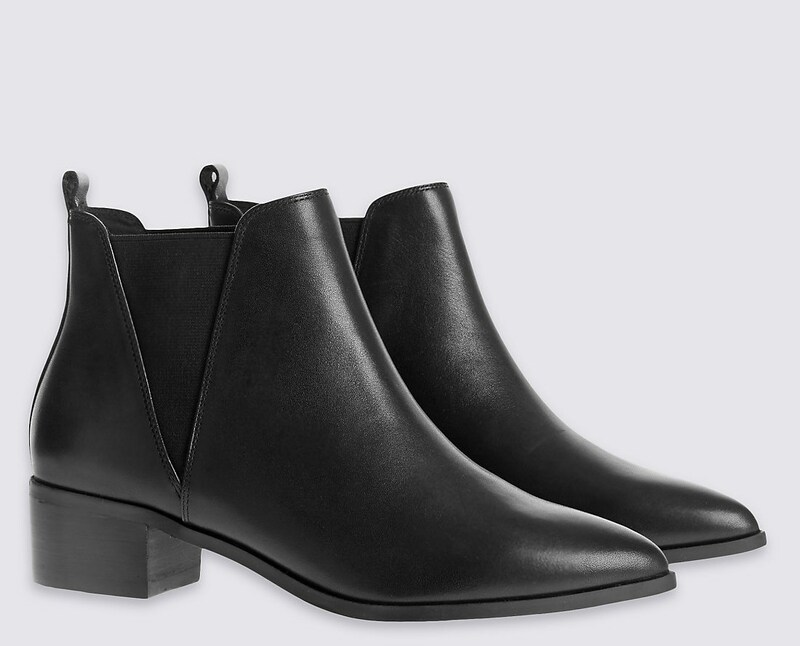 These boots are so very similar to the Urban Outfitter Percy boots I bought last winter (Acne dupes!) I can't wait to wear mine again this year. Also on my radar is this fab military style jacket that a such a nod to a Zara jacket I bought a couple of years ago that will be coming out again over the next few weeks. They really seem to upping their game don't they? 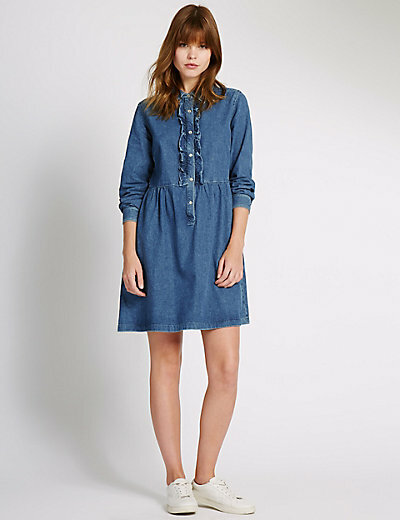 Hands up I have already made an A/W purchase from M&S! 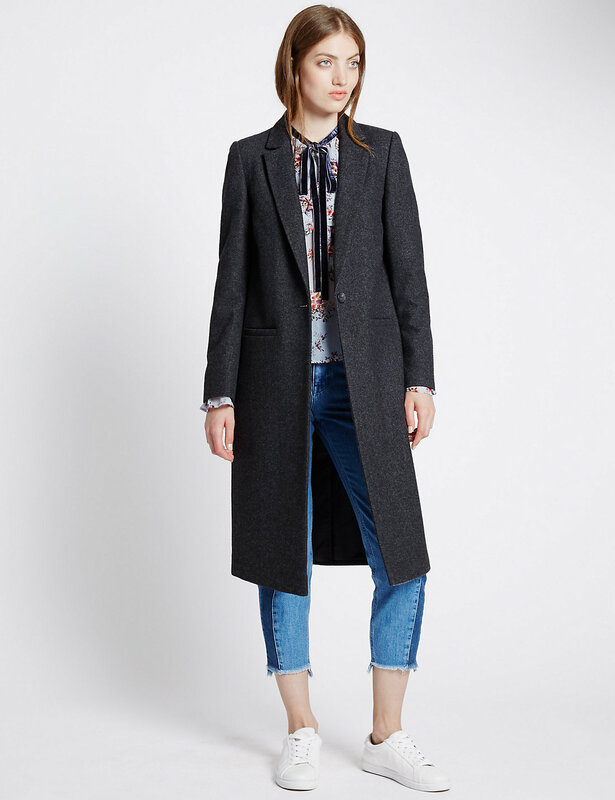 If you follow me on Instagram you might have caught me trying on this coat a couple of weeks back......I snuck back in there to stash it for later on in the season! 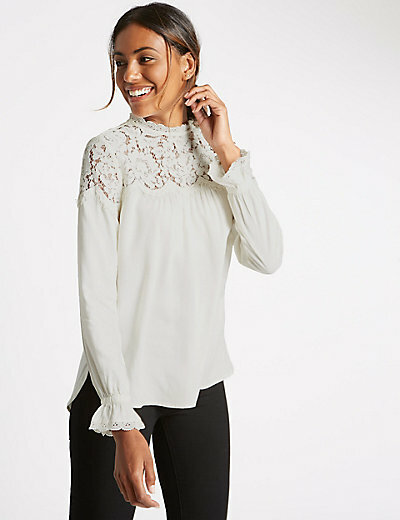 I also love this blouse....would be gorgeous under the military jacket above wouldn't it! This black lace top will be fab for the party season....yes I am thinking that far ahead already! 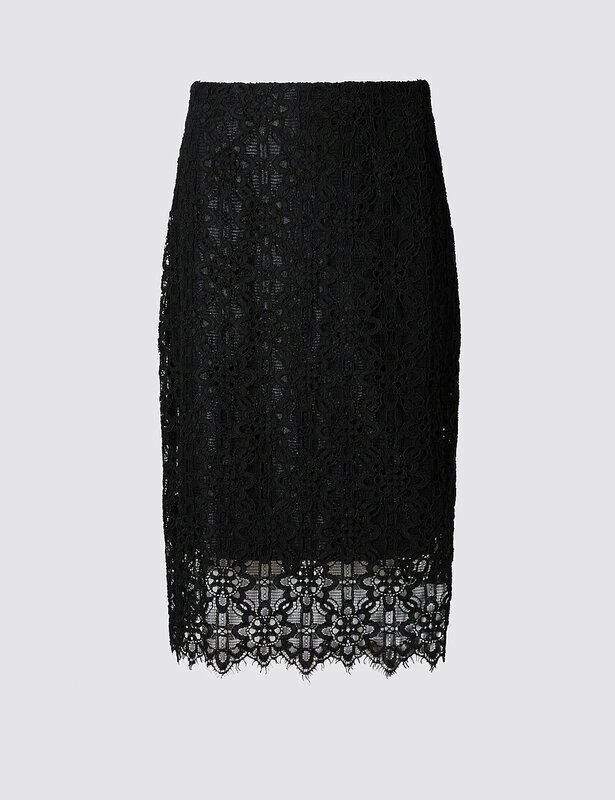 And after having so much success with my Uniqlo grey chiffon pleated skirt earlier this year I feel I could really make this lace midi skirt work......with my beloved Converse perhaps and a slogan tee? So I've gone all classic with the bits and bobs I've been perusing but these are all things I would wear and would slot in perfectly with what I've got. M&S's website does appear to be coming along in leaps and bounds, it's much easier to navigate and the styling although isn't quite there yet is most certainly better than it has been. Could you be converted into becoming a loyal M&S customer again? Just a couple of outfits to share, it certainly does seem to be getting a bit chillier already so I've started a wardrobe swap-over....can't see the white dresses coming out again until next summer! Have you had much success in M&S recently? I would love to hear!